There are numerous sustainable wood options including sustainably farmed varieties of teak, monkey pod (acacia), and mango. 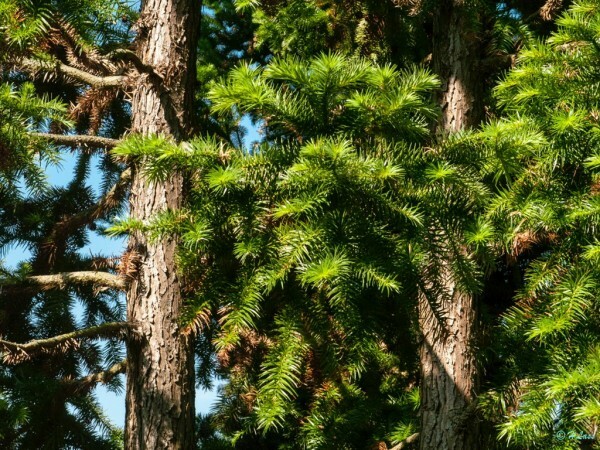 With the proper harvesting standards and eco-friendly carving and finishes, all of these types of trees are slowly becoming more popular materials for green wood products. Sustainable wood furniture provides a guilt free, eco friendly alternative to ordinary, mass produced furniture made from metal or plastics. Each tree is different, so each piece of sustainable wood furniture is totally unique, and you can showcase the colors and shapes found in the natural world in your home. Teak, Monkey Pod, and Mango wood are all fast growing woods that are quick to replenish themselves, so their use is highly sustainable and eco friendly. 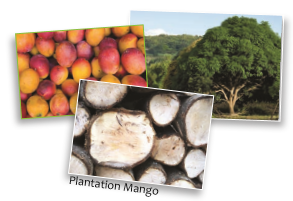 Mango wood comes from the popular mango tree, just like the fruit. 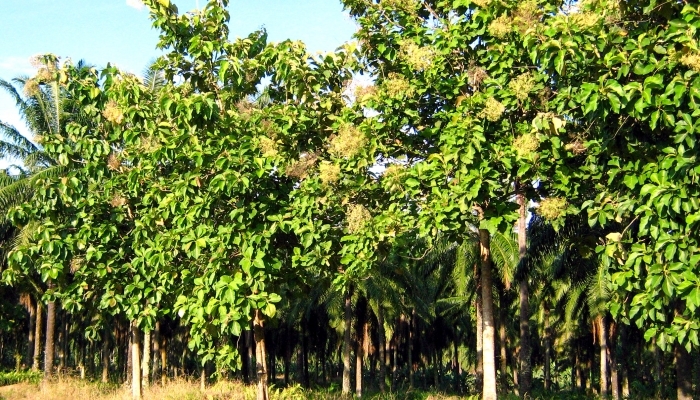 Mango trees are widespread throughout South East Asia, particularly Thailand. It's a beautiful pinkish color and very easy to work with. However, because the best wood comes from the softer core, it is prone to manifestation. Thus, mango wood works best when sealed with a tough, natural wood finish. We recommend teak or tung oil, as they're both incredibly durable and environmentally friendly. Because mango wood is not naturally weather resistant, we recommend using mango wood products inside your home. 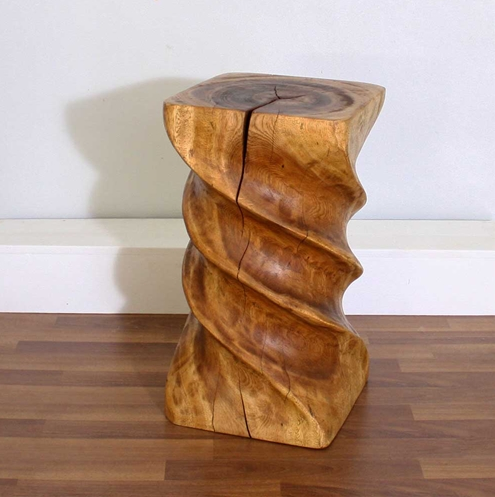 At Natural Wood Decor, we carry various end tables and stools made of mango wood. 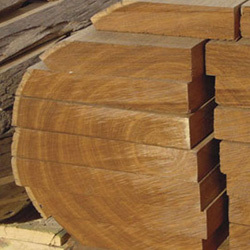 Teak wood is a tropical hardwood that is considered one of, if not the strongest woods in the world. It is so naturally durable and repellent, in fact, that it virtually needs no maintenance. Teak wood can be left out year round and survive even the most intense environmental conditions. Teak wood is impervious to water, thus perfect for use outdoors or in areas that are prone to moisture. Teak furniture is great for use in weathered or wet areas. At Natural Wood Decor, we provide a series of spa accessories that will handle high amounts of moisture. Teak wood products can be placed in any space inside or outside of your home. Once their life cycle has ended, or you've found a new product to replace it, don't hesitate to use your teak wood piece as a decoration in the garden or as a decorative piece of outdoor furniture. Teak's natural durability provides endless possibilities for any piece it preserves. 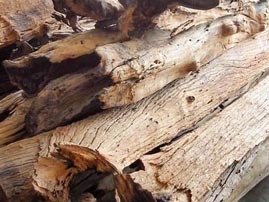 Teak has a natural tight grain with thick fibers which mill evenly without chipping or splitting. This is also a result of the challenging environment in which it is grown often withstanding monsoons, droughts, high winds and more. To resist these environmental changes, the fibers of the Teak tree bend rather than break, making teak a highly desirable wood for use in difficult conditions. In fact, it has been used in shipbuilding for hundreds of years because it requires little, if any, maintenance and it has a natural non-skid surface with barely any raised grain. Teak trees can grow as much as 40 meters (130 feet) tall and often live up to 100 years. 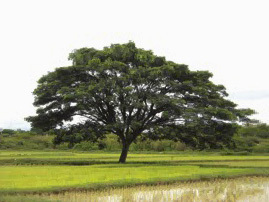 The land on which Teak is grown has a high sand content that is absorbed into the body of the tree as it grows. Teak also contains oil in its heartwood that is water resistant and helps prevent attacks from decay, insects and bacteria. This oil also gives Teak its characteristic gleam even without oil or varnish. This wood comes from Chinese Fir stumps, which grows abundantly in the mountains of Central China. The stumps are left by logging operations and the removal of these stumps allows for quicker reforestation. 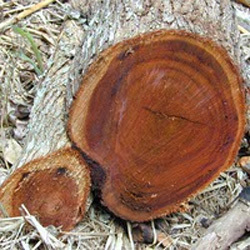 Each stump is carefully cleaned and graded before it is formed into such items as bowls, wine racks, vases, and urns. The work put into each root piece brings out the depth of grain, unique color, and exquisite shapes of the wood. Root bowls and platter products feature the “Flat Cut” carving style in which carvers split the stump lengthwise before designing the piece. This orients the wood grain in such a way that each piece can expand and contract naturally without checking or splitting. The creation of this wood begins at the hands of Mother Nature, which shapes and forms its characteristics through wind, rain, sun, and a number of other elements. Because of this, no two products are ever alike. This naturally fallen driftwood is found in the forests of Northern Thailand and sculpted into chic pieces by village artisans. 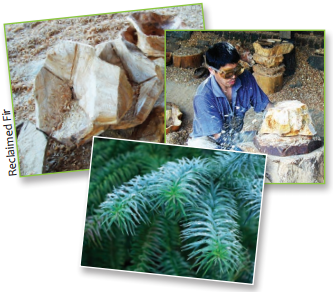 Brought to Thailand as a wood source for the carving industry, the Acacia grows in the mountainous regions of the North. Highly sustainable because of its fast growth and abundance, its harvested by cutting the larger limbs and then the trunk only after it's past it's productive years. 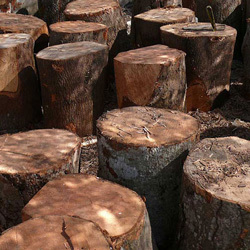 With this harvest method, there are no lumber yards for this wood, the trees are cut as needed. This medium-hard wood contains natural moisture-resistant oils that make it an ideal material for our kitchen and dining collection and is also used many of our other products. At first glance, sustainable wood furniture is natural, organic, and beautiful. Each piece is as unique as the tree it comes from, so sustainable end tables, chairs, benches, and accents possess unique cracks, warps, and holes that give them character. Moreover, the colors and patterns of wood grain are also unique to each piece, and will add a natural look and style to any room. Sustainable wood furniture is also sturdy and durable, and carefully tested for flaws or weaknesses before it is sold. The real benefit of sustainable wood furniture, however, is of course its sustainability. From tree to dining room, a piece of sustainable wood furniture goes through a number of eco friendly processes to get to you. For furniture to truly be "sustainable" it must be made of natural, environmentally friendly materials. It must also be processed in a way that does not do any harm to the surrounding environment. Our sustainable wood furniture is handled by Chiang Mai artists in Thailand, where the teak, mango, and monkey pod wood are harvested locally. Once finished, sustainable wood furniture is treated with natural wood oils, like teak oil. If the furniture is treated with toxic chemicals found in common wood finishes, it cannot be considered sustainable.